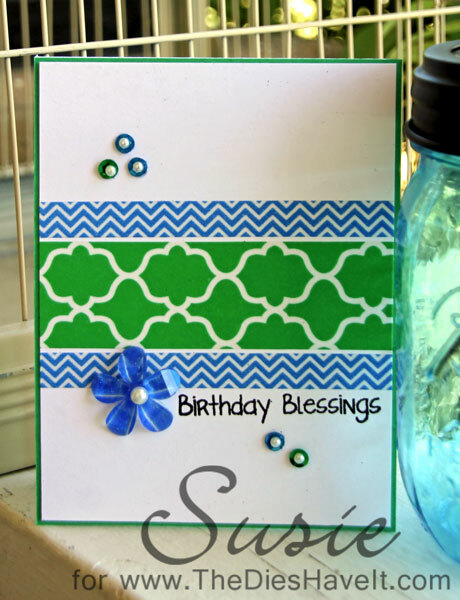 Today's card started out with that cute blue acrylic flower. At GASC last year, one of the vendors had packages of them for $1 each. So I bought two. When I brought out my little box of this and that - there was the flower and I knew I wanted to use it. I ran three strips of Washi tape along my white card front and then stamped my sentiment. I heat embossed the sentiment so it would be raised a bit. Then added my flower. I thought I was done. But then I decided to add a few sequins and pearls. THEN I was done! I hope you like today's card. 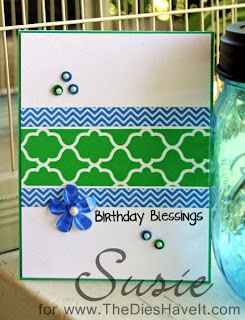 I am just loving these simple cards!